Google’s Senior Vice President of Engineering and head of Google+ Vic Gundotra has announced that he is leaving the company today after eight years. Gundotra published a long explanation regarding his leaving on Google+, but he didn't provide much info on what he'll be doing next. Today I'm announcing my departure from Google after almost 8 years…I have been incredibly fortunate to work with the amazing people of Google. I don’t believe there is a more talented and passionate collection of people anywhere else. And I’m overwhelmed when I think about the leadership of Larry Page and what he empowered me to do while at Google. From starting Google I/O, to being responsible for all mobile applications, to creating Google+, none of this would have happened without Larry’s encouragement and support. Motorola may soon introduce a new version of its affordable Moto G smartphone. According to Mexican website Xataka, the upcoming handset will be called Moto G LTE. As its name suggests, the Moto G LTE will have LTE connectivity. A feature that’s missing from the original Moto G. While the latter is currently offered in both 8GB and 16GB variants it’s said that the new Moto G LTE will have only a 16GB model. Reportedly, the LTE capable Moto G should cost about $260 in Mexico, where it could be released as early as June. Its retail packaging is rumored include a Motorola Flip Shell (normally sold for $29.99). Besides LTE, it appears that the handset will be similar to the Moto G that's already available, it should offer Android KitKat, a 4.5-inch 720p display, 1GB of RAM, and a quad-core 1.2GHz Snapdragon 400 processor. Google may be working with chip maker MediaTek on a budget Google Nexus device that could be priced as low as $100. With a phone like this, the mobile market could be turned upside down and would be a direct competitor to ex-Google company Motorola and its Moto G smartphone. Google's Nexus line is already known for its low priced devices with high-end specifications, but a $100 Nexus device could definitely broaden Google’s mobile market share. Let us know what you think, would you buy a Google Nexus device for $100? We'll be sure to keep our ears open and update you as details come available. 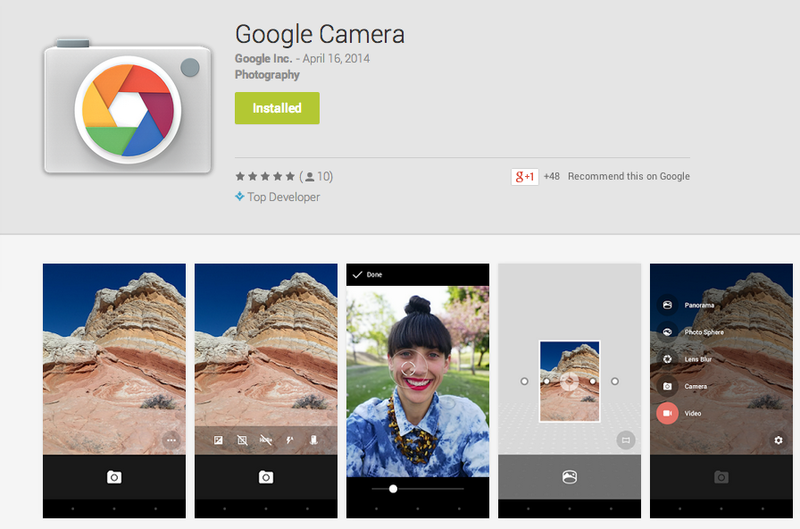 Google Camera features an updated UI that moves out of your way, as well as a large capture button for ease of use when snapping photos. The app also includes a 100 percent viewfinder that allows users to get the maximum resolution from their photos. The app includes a number of software features for capturing and editing shots, including Photo Sphere, Lens Blur for creating a shall depth of field and a high-res Panorama mode. Cincinnati Bell, a telephone company based out of Ohio, has agreed to sell its rights, titles, and interests in its wireless spectrum licenses to Verizon in a cash deal worth $194 million. The deal is expected to close in the second half of 2014, and until then, customers of Cincinnati Bell Wireless should see no change in service. However, when the deal gets closer to closing, the company states it will assist current customers in transferring their contract agreements to Verizon or another carrier of their choosing. The new Cyanogen logo takes into account the three pillars of Cyanogen's plans customization, security, and open source. Unfortunately, if this weren't explained, no one would be able to figure that out simply by looking at the logo itself. The "C" of the logo could be spotted and maybe connected to the idea of customization. The idea of security is supposed to come from the fact that the overall look is similar to that of a screw, which invokes both ideas of building and securing. Cyanogen says "The new logo is not going to replace Cid, but work with the company mascot. This is the logo for the company, but Cid is the avatar to stand in for the CyanogenMod community, which is still going to continue its work". Shortly after, all the US carriers had a sign up page to be notified when this beautiful smartphone would be available, which was followed by the pre-order of the Samsung Galaxy S5 on AT&T, T-Mobile, US Cellular, and Sprint. Verizon has started accepting pre orders for the Samsung Galaxy S5 starting today, with the same price of $199.99 with a 2-year contract (after $50 mail in rebate debit card), or $25.55/month with Verizon Edge. 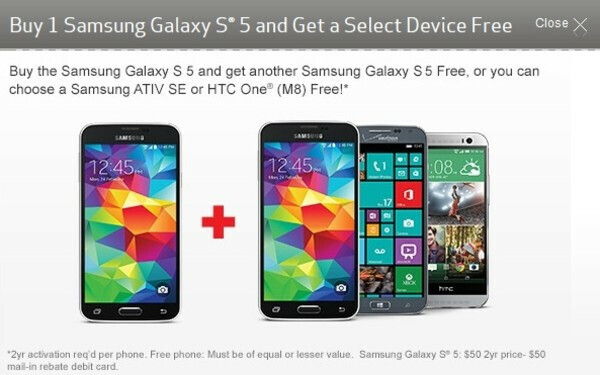 But Verizon is shaking things up a bit by offering the Galaxy S5 as a BOGO, where you can get another Galaxy S5 for free, or choose from the Samsung ATIV SE, or the HTC One (M8), as long as you sign a 2-year contract for each device. Amazon’s Fire TV has three times the power of any of the competitors listed above. It’s packs a quad-core processor, 2GB of RAM and a dedicated graphics processor for fast, fluid playback. It also has dual-band, dual-antenna Wi-Fi to enable instant streaming with a feature called “ASAP” that pre-loads videos based on what you’ve watched previously. The more you use Fire TV, the more accurate ASAP gets. Amazon Fire TV has a remote and a search aspect that Amazon is hyping. The entire interface is incredibly fluid and easy to navigate, and the remote contains a microphone that can be used for quick voice search. This is a huge improvement over most set-top boxes that require you to search by typing a query one letter at a time. In addition to its ability to stream video, Fire TV can play games, stream music, create slideshows of your photos and even launch a kid mode dubbed FreeTime that includes tons of free content from Amazon Prime. Fire TV isn't a closed ecosystem with apps like Prime Instant Video, Netflix, Hulu, YouTube, and Vimeo currently supported and more on the way. Fire TV is available now from Amazon for $99. Fire TV is currently being offered with a 30-day free trial of both Netflix and Amazon Prime. Facebook has been experimenting with new UI's for Android. Members of the Beta testing group, as well as the Alpha testing group have seen many many changes recently, while others in the group have never been able to use it, thanks to the UI being completely controlled by Facebook’s servers. It looks like anyone running Version 9.0 and up of the application should be seeing the new UI. In order to get Version 9.0, you will need to become an Alpha tester for Facebook. Luckily for Android users it is simple. Follow the steps below to run the new Facebook Android app user interface. Make sure you are not a Beta Facebook tester. If you are, by leaving the Google Group under Settings. Become an alpha tester by joining this Google Group. Push the application to whichever Android device you would like from Google Play. Log into the Facebook application on your phone after it is installed. You should now have the new flat Facebook UI. There is also an alternative method You can sideload the apk onto your device, but you will not receive Alpha updates for it through Google Play, since you are not marked as an Alpha tester. If you sideload the apk, and do not see the updated UI, simply wipe the app’s data from the settings menu on your Android device, then sign back into Facebook, you should be good to go with the new interface.